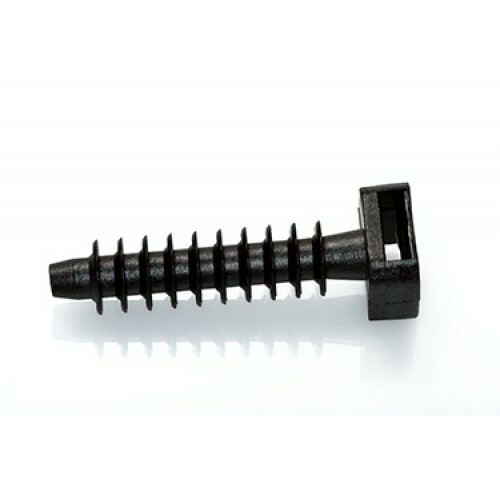 Cable Tie Masonry Mount, pack of 100 pieces. For fixing cable ties to a solid wall. Screw into 7mm drilled hole. Suitable for cable ties up to 9mm wide.